Learn How to Save Lives during American Heart Month - DiVal Safety Equipment, Inc. - Welcome to the DiVal Dispatch - Your Source For Safety News & Updates! You may think that the majority of heart attack victims are older and perhaps in poor health. However, according to Million Hearts, in many communities across the U.S., death rates are actually increasing amongst younger adults from ages 35-64. Not only are there a greater number of younger adults dying of heart disease, but their rates of risk factors, such as physical inactivity, hypertension, and tobacco use—are also increasing. The good news is that heart disease is one of the most preventable causes of death. 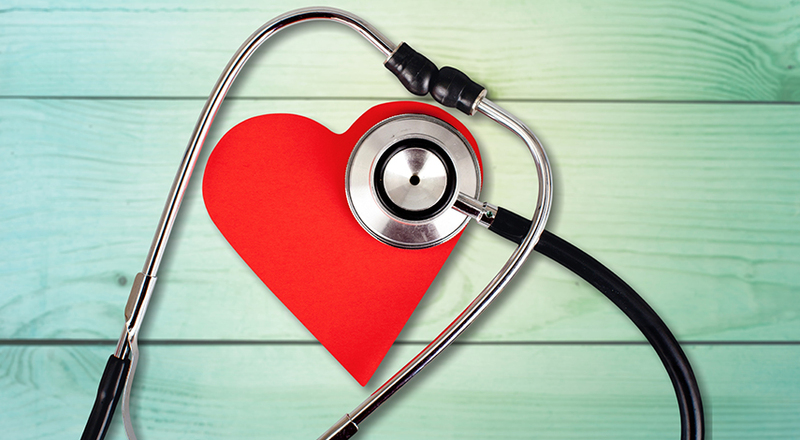 Making heart-healthy lifestyle changes, knowing your family health history, knowing the risk factors for heart disease, and managing your health all play major roles in prevention. Find time to be active. Aim for at least 150 minutes of physical activity per week. You can invite fitness buddies on an afternoon stroll, try an exercise class, or challenge the whole family to a soccer match. Quit tobacco—for good. Smoking cigarettes and using other tobacco products affects nearly every organ in your body, including your heart. Quitting can be tough, but it can be easier when you feel supported. For additional help, you can call 1-800-QUIT-NOW (1-800-784-8669). Know your numbers. High blood pressure and high cholesterol are major risk factors for heart disease. Ask your physician to check your blood pressure and blood cholesterol levels regularly and help you take steps to control your levels. Stick to the 'script. Taking your medications can be tough, especially if you feel fine, but sticking with your medication routine is important for managing and controlling conditions that could put your heart at risk. Be sure to take medicines at the right time and in the prescribed amount. Another way to be proactive is to learn how to perform CPR, use an AED, and other First Aid skills. For every minute a sudden cardiac arrest victim goes without an AED, their chance of survival drops. DiVal Safety offers National Safety Council certified courses in CPR and AED use, and First Aid. For more information on the courses, click HERE and call our Training Division Coordinator at 800-343-1354. American Heart Month is the perfect time to learn basic awareness and get skills you need to potentially save a life.